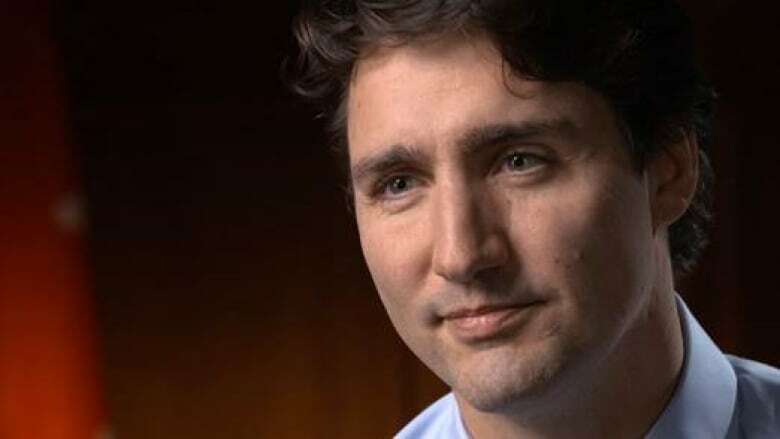 Prime Minister Justin Trudeau defended Canada's ambitious Syrian refugee resettlement program in a wide-ranging interview with 60 Minutes that will air Sunday. Prime Minister Justin Trudeau defends Canada's ambitious Syrian refugee resettlement program in a wide-ranging interview with 60 Minutes that will air Sunday. Lara Logan, a co-host of the weekly newsmagazine, the most-watched news program in the United States, asked the prime minister whether he was concerned about the prospect of a terrorist attack initiated by a Syrian refugee. "Every time a tourist or an immigrant or refugee shows up in another country, there is a security risk," Trudeau said in a preview posted online by 60 Minutes. "I am more than comfortable that … accepting 25,000 Syrian refugees does right by both the safety of Canadians and by the values that define us as a nation." The prime minister contrasted his plan for Syrian refugees with that of Republican frontrunner Donald Trump. "Ultimately being open and respectful towards each other is a much more powerful way to diffuse hatred and anger than ... big walls and oppressive policies," Trudeau said. He also defended his move to pull back CF-18 jets fighting ISIS in Iraq and Syria. "There's a lot of countries that do very well dropping bombs. There are other things that Canada actually does better than most other countries. And one of them is training people on the ground," Trudeau said, adding Canada will triple the number of military trainers working with the Kurdish Peshmerga. Logan also asked Trudeau about his unconventional path to power — pointing to his string of odd jobs before his election to the House of Commons in 2008. Trudeau defended his varied resume saying he won't be defined by his critics. "I was a snowboard instructor, I was a bouncer in a nightclub, I was a whitewater river guide … I worked as a teacher," Trudeau said, adding he's not ashamed of his work experience. The last time a Canadian politician was featured on the Sunday night program, which regularly attracts in excess of 15 million viewers, was in 2003, when then-deputy prime minister John Manley was featured in a segment called "North of the Border" documenting Islamic terrorist groups operating in Canada. The Trudeau interview will air just days before he visits Washington, DC for a state dinner with U.S. President Barack Obama on March 10. The state dinner will be the first of its kind between the two countries in nearly 20 years. Trudeau's 60 Minutes debut follows extensive coverage of the prime minister in American news media. Since his Oct. 19 victory, Trudeau has been profiled in Vanity Fair and Vogue magazines and in the New York Times, among other U.S. publications. Watch the 60 Minutes preview in the player below or here.